Medway Yacht Club hosts a Coffee Morning as part of “The World’s Biggest Coffee Morning” in aid of Macmillan the charity that supports those facing cancer. 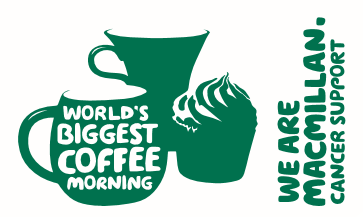 The event is Macmillan’s biggest fundraising event where they ask people all over the UK to host their own Coffee Mornings and donation on the day are made to Macmillan’s. Last we helped raise over £27.5million and this year hopefully even more. Open to all so bring friends, neighbours and family come down to Medway Yacht Club and enjoy a cup of coffee or tea (other refreshments also available) and a piece of delicious cake. One in three of us will get cancer, and it will be one of the toughest things we will ever have to face. Macmillan’s goal is to make sure no one faces cancer alone. Macmillan provide medical, emotional, practical and financial support, as well as campaigning for better cancer care. And because cancer affects more than just those facing it, they are there for friends and family too.